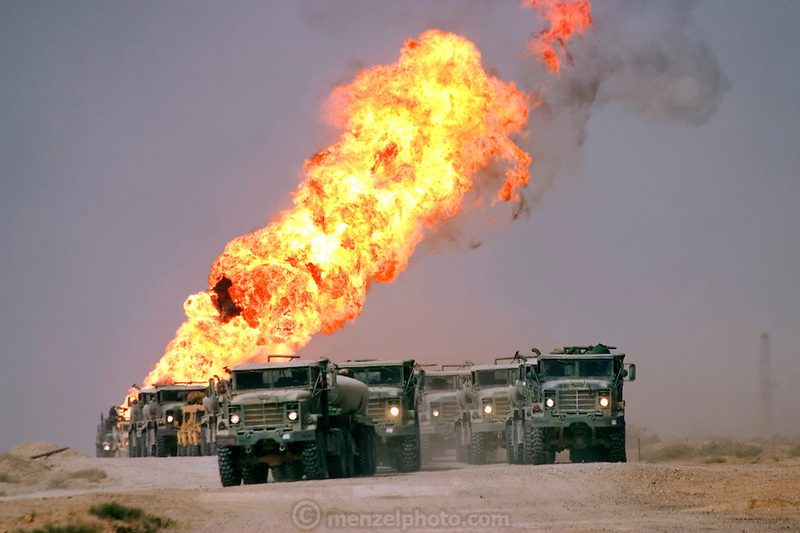 Heading north through the Rumaila Oil Field of Southern Iraq, convoys of fuel trucks carry the army's mechanical lifeblood past burning oil wells set ablaze by retreating Iraqi forces. The Rumaila field is one of Iraq's biggest oil fields with five billion barrels in reserve. The burning wells in the Rumaila Field were ignited by retreating Iraqi troops when the US and UK invasion began in March 2003. Rumaila is also spelled Rumeilah.